Chang Tsi & Partners is a leading full-service Chinese law firm with a strong reputation in intellectual property and litigation. With a rich history in corporate law, and China’s sharpest IP team, Chang Tsi & Partners does more than win cases. We’re your China strategy. We have the knowledge, experience and connections to safeguard your legal rights—and to assert them. Our full-service law firm provides integrated legal solutions, and peace of mind, in China’s competitive and turbulent market. That’s why more US Fortune 500 companies choose us than any other Chinese firm. Experienced | With top legal minds drawn from the highest echelons of government, the judiciary, and business, we know China from the inside out. Our partners have more than 190 combined years of practicing experience. Efficient | We’re fast. We’re fluent in English. Our strict, computerized timing systems make us accountable. And our dedicated workflow team ensures we answer all emails in one working day. Comprehensive | You may know us for our precedent-making IP wins, but Chang Tsi & Partners is a one-stop shop for all your Chinese legal needs. From mergers and acquisitions to compliance, market surveillance and employment law, our people are the experts. Strategic | First, we listen. Then we combine our multiple core legal competencies to tailor your strategy from the ground up, anticipating complications, and heading off problems before they arise. Legal 500 Asia Pacific has named Chang Tsi & Partners a “Top-Tier Intellectual Property Firm” since 2016. Chambers & Partners Asia Pacific has continuously recommended Chang Tsi & Partners for contentious and non-contentious IP matters in China. 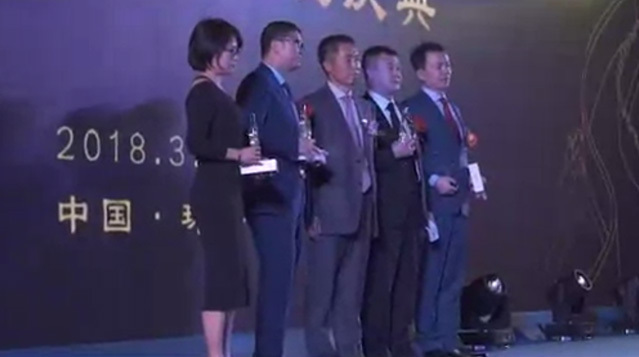 China Business Law Journal has named Chang Tsi & Partners “Best Intellectual Property Law Firm in China” since 2014. From complex trademark disputes to tricky litigation cases, the world’s most successful companies – 3M Company, Johnson & Johnson, Amazon Inc., Midea Co. Ltd., Adecco Group AG, Formula One Licensing B.V., Levi Strauss & Co., Air China and more – turn to Chang Tsi & Partners to safeguard their legitimate rights. Twitter Inc. calls us their invaluable advisors. Campbell Soup Company praises our unparalleled knowledge of Chinese trademark law. Amazon’s chief IP counsel commends our speed and efficiency. Our awards speak for themselves. Chang Tsi & Partners is headquartered in Beijing, with offices in Shanghai, Guangzhou, Shenzhen,Hong Kong,Guangxi and Hainan, and liaison offices in the United States. With a team approaching 300 staffs, including 200 attorneys, agents and consultants.We provide personalized, integrated solutions across intellectual property law, corporate law, litigation & dispute resolution and more. A reputation for quality, diligence and speed has sustained us for two decades. Chang Tsi & Partners is a strategy-driven, full service firm. We prioritize teamwork and cooperation, facilitating knowledge and resource sharing across departments. This helps us build each client a ground-up China plan that insulates them from a variety of legal risks. In China’s enormous and complex market, intellectual property rights mean little without administrative backing. That’s why Chang Tsi & Partners employs a sophisticated in-house investigations team specializing in market monitoring. We leverage our strong relationships and communication channels with law enforcement bodies at all levels, going beyond the courts and the paperwork to safeguard our clients’ rights and protect their interests. Before taking new clients, we research and identify any potential conflicts of interest. Each client gets a dedicated team of senior attorneys and experts held to the highest standards of accountability. Our sophisticated time-limit notification and processing systems guarantee budget control and billing accuracy. Chang Tsi & Partners’ strict supervision and risk control systems exceed international benchmarks. On our clients’ behalf, we can manage budgets, plan annual prosecution and enforcement goals, and coordinate with their local businesses. Our clients stay with us long-term because we know their businesses. We do our research and quickly get up to speed. We make China’s opaque market clear by offering sharp business analysis and market research, regular client reports, and much more. At Chang Tsi & Partners, we pride ourselves on being efficient and responsive. Our unique pledge to answer all email enquiries in one working day – coordinated by a dedicated workflow team of fifty – sets us ahead. Chang Tsi & Partners is a genuinely bilingual firm. We work in English and Chinese, and many of our lawyers are accredited to practice internationally: in the US, Europe and the Asia Pacific. Our practitioners are China’s best, with careers that have tracked the rapid evolution of the Chinese legal system. Managing partner Simon Tsi is one of China’s most fearsome litigators and has a long background working with government organizations. With a lifetime of experience in arbitration, corporate law, security and finance law, construction & real estate law, as well as IP, he has overseen some of China’s biggest corporate takeovers. Tsi, who specializes in legal risk prevention and control, has won landmark trademark infringement and unfair competition cases on behalf of Honeywell International Inc., Kraft Inc. and Johnson & Johnson. In 2016, Tsi obtained a rare preliminary injunction on behalf of Under Armor in the high court of Fujian’s IPR tribunal – the second such injunction the court has ever issued. Tsi has long-term working relationships with many of China’s most successful businesspeople and specializes in connecting them with overseas firms. He has worked for China’s Department of Justice, the Ministry of Personnel, and the State Power Grid Construction Corporation. Named the World’s Leading Trademark Lawyer by Who’s Who Legal, founding partner Spring Chang is a razor-sharp IP attorney who has advised and represented hundreds of major electronics, consumer, pharmaceutical, apparel and jewelry companies in the Chinese market, as well as Chinese companies overseas. Chang is well known for representing Best Buy in a precedent-forming trademark case that prompted China’s Supreme Court to re-evaluate the kinds of evidence it is prepared to consider in IP decisions. 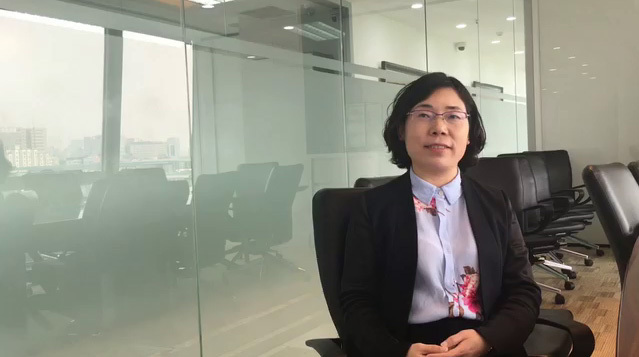 She has been regularly ranked the only trademark lawyer in the Band 1 tier of Chambers and Partners’ Chinese legal listings—the group praises her “great judgment” and “wealth of experience in serving well-known multinationals”. Chang has earned an international reputation for creativity and efficiency during more than two decades practicing. Our attorneys have worked in government agencies, the Chinese judiciary, and as in-house counsel for local and multinational corporations. They are praised for their sharp insights into Chinese government policy, and for their pragmatic commercial awareness. Chang Tsi & Partners is committed to diversity of background and of thinking. Many of our attorneys have trained both in China and internationally and are qualified to practice in other jurisdictions. Our overseas-born lawyers bring their own rich experience. At Chang Tsi & Partners our first duty is to our clients’ interests and their legitimate rights. We comply with Chinese and international professional practice standards. We take social responsibility seriously. Each year we run a free, weeklong legal aid hotline organized by the Beijing Lawyers Association to service the local Beijing community. We continually contribute to charity groups, including the Interfaith Food Pantry, Doctors Without Borders, the American Heart Association, the Cancer Research Institute and more. Chang Tsi & Partners supports Xingxing San, a Chinese group that assists children with autism, and the Yiya organization, which provides schooling and support for hearing and speaking-impaired children. We also support education programs for children in Tibet. As part of our ongoing environmental program Go Green, Chang Tsi & Partners is now a paperless firm. Each year, our staff plants hundreds of trees on the outskirts of Beijing as part of the Chang Tsi Forest Initiative. And we value our people. Our working environment is regularly commended by the Chinese government and peak trade union. We are the 2017 Asian Legal Business China Employer of Choice. In 2016, the Shanghai Bar Association named our Shanghai branch “Best Organization” in an award that recognizes contributions to public welfare in the Chinese legal profession. We have provided services for Fortune 500 companies for nearly two decades, and we represent more US Fortune 500 companies than any other Chinese firm. But our clients come from all over the world. We are privileged to have earned the trust of companies from North and South America, Europe, the Asia Pacific, and Africa, in fields as diverse as energy, entertainment & sports, manufacturing, retail, transport & tourism, food & beverages, banking and financial services. Our efficient, cost-effective and comprehensive legal solutions have won high praise from our clients and the industry. Campbell Soup Company: “Chang Tsi & Partners is comprised of highly effective IP professionals. The team members have consistently demonstrated superior judgment, exceptional analytical skills and high integrity. Without exception, they have demonstrated unparalleled understanding of China trademark law and regulations. They are extremely prompt and thorough in their responses to our inquiries and requests. Their collective and deep understanding of China practice provides the competence for issues which are deeply valued. For example, their advice on subtle prosecution issues have turned out to be key considerations in our transactional analysis and guidance for our in-house clients.